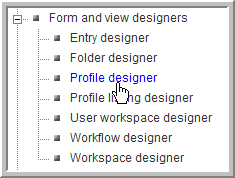 You use the Profile designer to edit the business card that appears on every user’s workspace. The following procedure shows you how to edit the business cards layout to tailor it for your specific company. 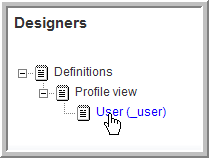 From the Teaming Administration portlet on the initial Liferay portal window, click the plus sign (+) to the left of Form and view designers to expand this section and view the available designers. To add the Teaming Administration portlet to the Liferay portal window, See Adding the Teaming Administration Portlet to Your Home Page. Expand Profile view and click User. You see the following for the user business card. To edit the layout of the business card, expand Business card. Any element you add to Business card appears below the picture on the business card. Any element you add to the Business card elements appears to the right of the picture on the business card. The upper section has elements for the business card; some are already included in the Business card elements. 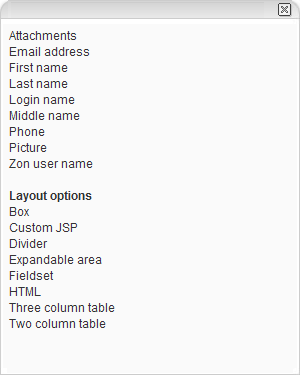 The Layout options allow you to add custom elements (including additional containers). 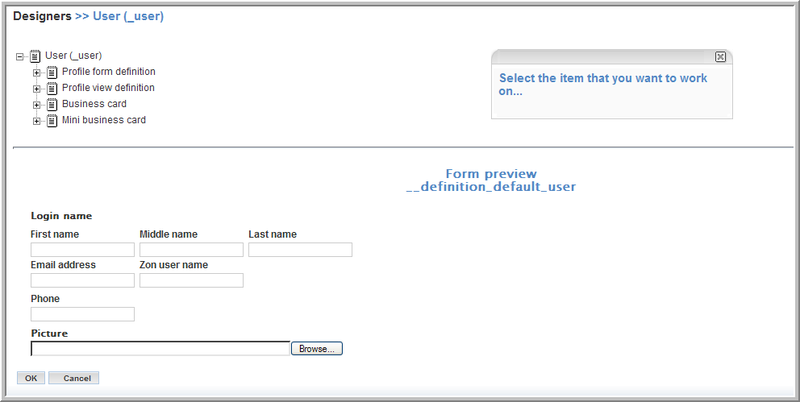 See Creating a Custom Form for an Entry. Click OK in the dialog that appears. 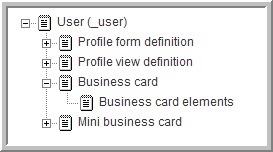 Profile element - First name appears below the business card. 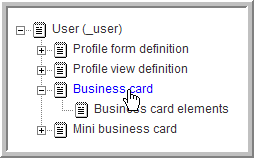 You can perform the same steps to add a new element below the Business card elements, which would appear to the right of the picture on the business card, or you can edit the Business card elements to select or deselect the elements that are already in the Business card elements. The dialog for Business card elements appears. 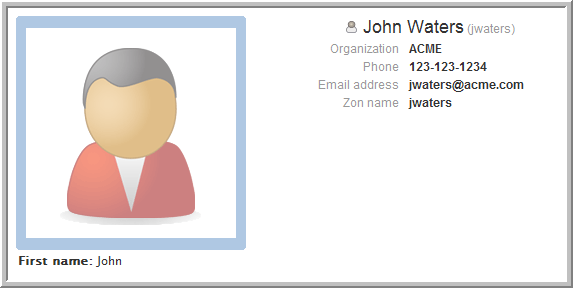 Select the profile elements you want to appear to the right of the user’s picture on the business card (use the Shift or Ctrl keys to select multiple elements). 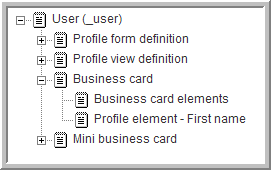 For this example, select all elements. 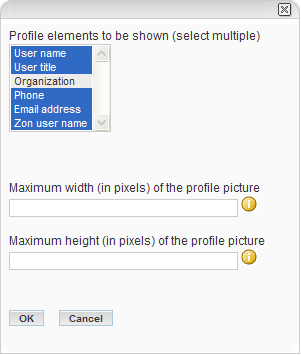 The Maximum width and Maximum height fields allow you to limit the size of the users’ pictures on their business cards. The graphic is scaled to fit within the maximum width and height that you specify, without distorting the picture (the aspect ratio is maintained). 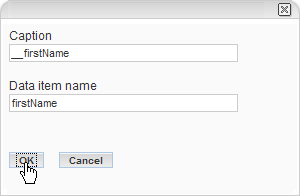 You might also need to add the Organization element in the Profile form definition so that users can specify their organizations when they modify their profiles. 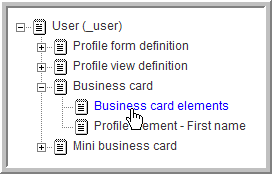 This is true for any new elements you add to the business card (you need to add the new elements to the Profile form definition so that users can input values when they modify their profiles). Go to a user’s workspace and view the changes. 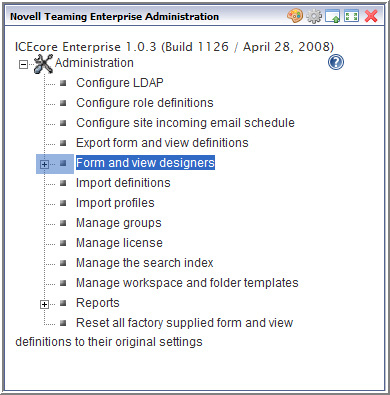 In this example, the Organization element has been given a value for the user.